Lucy Koechlin brings particular expertise in the realms of governance and accountability systems, having worked with national and international stakeholders across Africa, Asia and Central Europe. 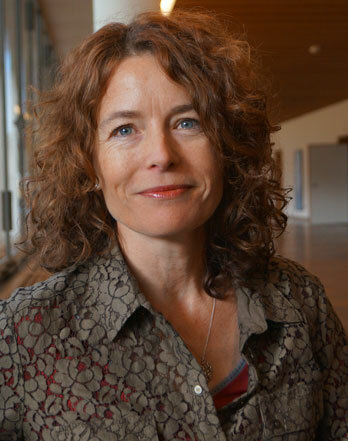 Lucy is Senior Lecturer at the Institute of Social Anthropology and Centre for African Studies, University of Basel, Switzerland, with a focus on governance, political transformations, urban politics and natural resources in Africa. Growing up in Switzerland with a pronounced interest in world-wide social, political and economic power relations, it was perhaps inevitable that Lucy developed an interest in corruption in the course of my studies. With degrees in sociology (PhD, lic.phil. ), international law, political economy (lic. phil. University of Basel), and development studies (MSc, LSE) she was well equipped to understand the challenges facing “Southern” countries. However, more pertinent seemed the role of the North and the dynamics of inequity between the North and the South – and at the time, the financial centre of her home country, Switzerland, was a powerful symbol of these opaque interrelationships. Working with the network leading to the founding of the Basel Institute on Governance, Lucy undertook anti-corruption trainings and evaluations of anti-corruption strategies for various organisations, such as the World Bank, the UNDP, or SDC. In addition, she was actively engaged in Transparency International’s anti-corruption network, first as member of the Board and then as Vice-President of TI Switzerland for the full 6-year term. Taking on the position of Head of Accountability Systems at the Basel Institute on Governance in 2007, Lucy built up the research team on sectoral governance and accountability systems, whilst at the same time working with and bringing together diverse stakeholders from civil society, the public sector and the business community. After nearly a decade of doing policy-oriented work, Lucy decided to shift her centre of gravity back to academia. As Senior Lecturer of the Institute of Social Anthropology and Centre for African Studies, University of Basel, she has been expanding her research and teaching to political transformations, social struggles, urban spaces, as well natural resource governance in Africa. In addition to teaching various courses on these topics, Lucy is currently coordinating a 3-year research project on “Corruption, Conflicts and Cities in East and West Africa” (2014–2017). In 2012 she co-founded Stream House together with Hari Mulukutla, seeking solutions to complex societal problems in ways which allow for more agency and involvement of all stakeholders.